Select All Steel when you want the perfect cooking result. All Steel fries beautifully and gives the perfect browning, which also makes the food taste better. The set is suitable for all types of hobs. Made in Finland. All Steel frying pans have a Ceratec° coating which conducts heat extremely well. Due to the excellent thermal conductivity of the coating, it browns beautifully and prevents food from sticking to the pan. 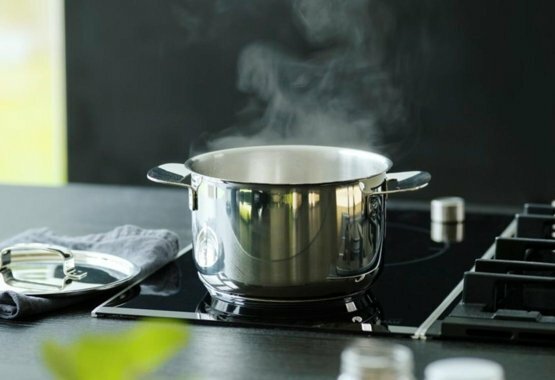 All Steel boilers and frying pans are made of durable stainless steel. Thick base works efficiently and evenly on all stoves.